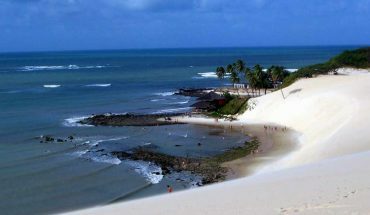 Praia da Redinha Natal on Brazil’s northeastern coastline is an almost endless stretch of white sand beaches and tall swelling dunes. So, whether you choose to surf the waves or just chill with caipirinhas in hand, Natal is a perfect base for your beach getaway. If you are in the Natal downtown area, just cross the Forte-Redinha bridge and you’ll find yourself at the nearest city beach – Praia da Redinha Natal. Praia da Redinha is the first Natal city beach north of the Potengi river and the only beach in the city’s north region. This beach is still within Natal but it shares its boundary with the city of Extremoz. If you are on your way to Genipabu, chances are you’ll have to pass by Redinha. 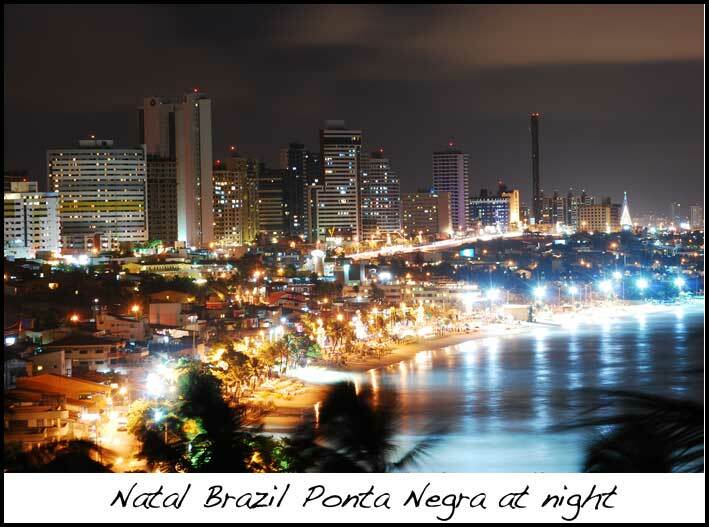 Praia da Redinha Natal can be reached in various ways – by land transport, by bridge or by ferry boat. It can be accessed through the Bridge of Igapó. To travel from Ponta Negra by land, the route you’ll take is around 10 kilometers longer and you will have to drive through Natal’s busy urban roads in its northern zone. Buggy drivers prefer to ferry their vehicle across the river. It costs R$5, shaves off 10 kilometers, and takes only 10 minutes (after boarding) to take you to the other side. There are only two boats that do ferrying operations. On busy days and weekends, you may have to wait up to thirty minutes to get on the boat. 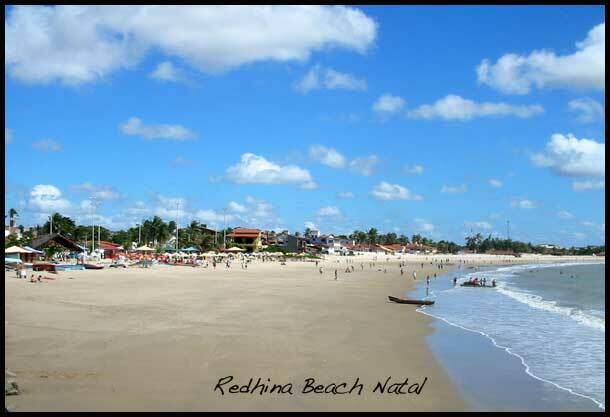 Praia da Redinha Natal beach is known for its laid back atmosphere, nice scenery, and cheap food. Sunday is the most crowded day for this beach. It is frequented both by locals and foreign tourists who also line up to taste the beach’s most famous delicacy, ginga com tapioca. Ginga com tapioca is a local food treat that has become quite a hit in kiosks at Redinha. Ginga is a specie of small fishes which is fried ajd eaten with head, bone, tail, and all. About five or six of these fishes are skewered and deep fried in oil. It is afterwards served inside a crispy fried tapioca wrap. Ginga and tapioca can also be served separately. Hold the tapioca down, gently pull out the skewer and eat this popular Redinha beach delicacy like a hamburger. Tourists love it with a cold beer. Constructed just a few years back, the Ponte Newton Navarro Bridge is quite a sight to behold. This 100-meter high and 1.8 kilometer long bridge spans the Potengi River to connect the north and east sections of Natal. It is a sight that shouldn’t be missed especially during sunset. 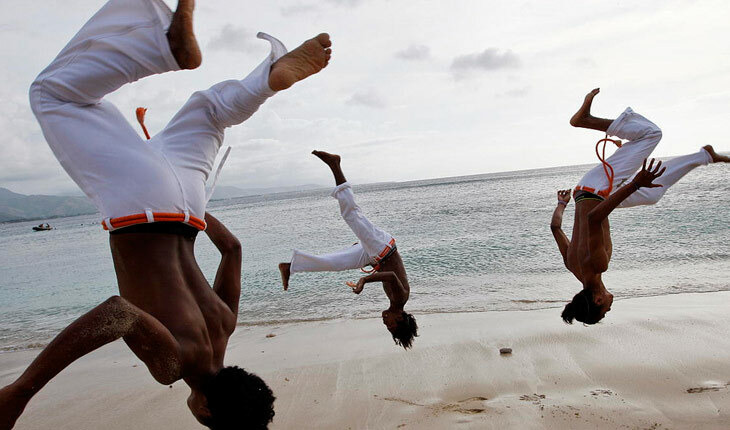 It can be observed from both Redinha and Forte beaches. The beach has a long walkway that goes towards the sea. At the end of the walkway, you will have an amazing panoramic view of Ponte de Todos and other parts of the city. Redinha is made up of Redinha Velha and its less frequented extension, Redinha Nova. The beach offers its visitors a remarkable picture of the Potengi River as it combines with the Atlantic Ocean, and where the river’s fresh water drains into the salty sea waters. Redinha developed by the edge of the Potengi River and the Atlantic Ocean. Since its early days until the present, Redinha’s economy is largely based on its fishing industry. The surrounding areas near the river have been developed and urbanized. Several food stalls and refreshment kiosks known as “barracas” now line the place, offering beach umbrellas for rent and serving plenty of foods, including the constant favorites ginga com tapioca and cold beer. 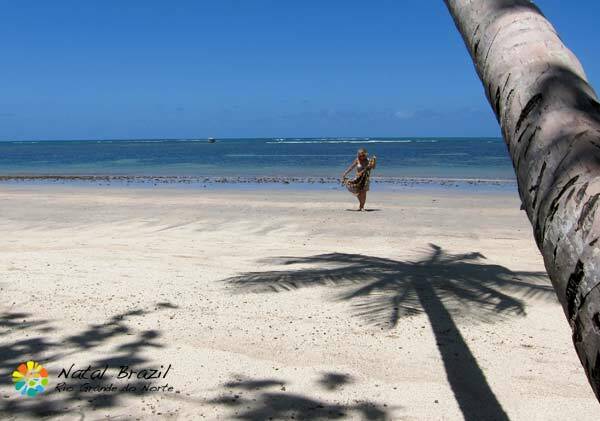 Praia da Redinha Natal Beach is protected by coral reefs which explains why it has small pleasant waves that bathers love. However, there is a section near the Potengi River that should not be accessed by bathers. This is where the city garbage is dumped into the river. Unfortunately, the sea washes them back to the shore where they litter that part of the beach. 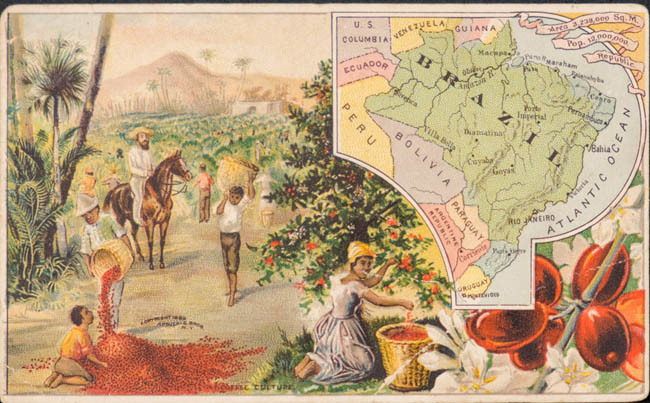 There are some disagreements as to where the term “Redinha” originated. In Portuguese language, Redinha means “small nets” which many believed was derived from the numerous nets that the fisher folks cast into the water along the beach. On the other hand, Câmara Cascudo, the region’s most famous historian, maintained that the name was given by Portuguese settlers who came from the Portuguese city which is likewise named Redinha. If you want to do more sightseeing and exploring within the vicinity of Praia da Redinha Natal beach, you’ll find a lot of other interesting places to visit. 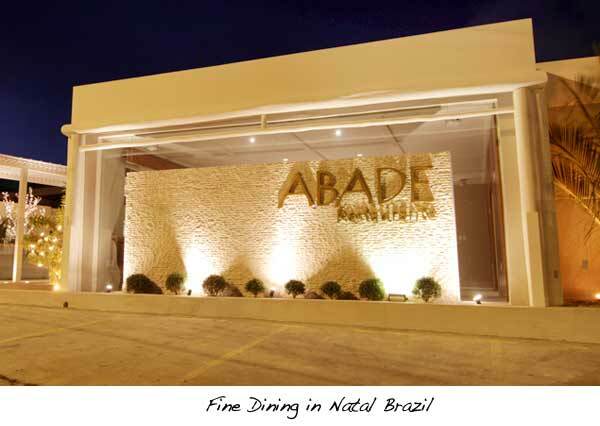 The nearby Corredor Cultural de Natal has rich historic attractions to offer its visitors. Forte Beach with the very famous Forte dos Reis Magos is another historic landmark that is just a few kilometers away. 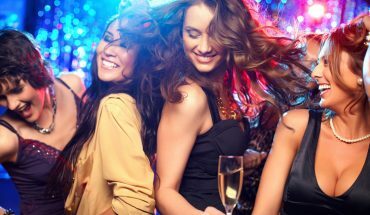 If you’re in the city for Carnatal, the city’s famous carnival, Redinha beach is the right place to be since many of the festival activities take place nearby.